Get ready for the upcoming season with BUCK BLITZ DEER ATTRACTANT. The attractant deer crave and rush to, time and time again. No matter the location if there are deer anywhere around, they will catch the sweet scent and come running. View pictures and testimonies made by all types of hunters. The weekend warrior to well known hunting guides, and everyone in between. Deer will come back time and time again digging holes trying to find more Buck Blitz!!! They absolutely love it. ...and neither will your hunting stories. 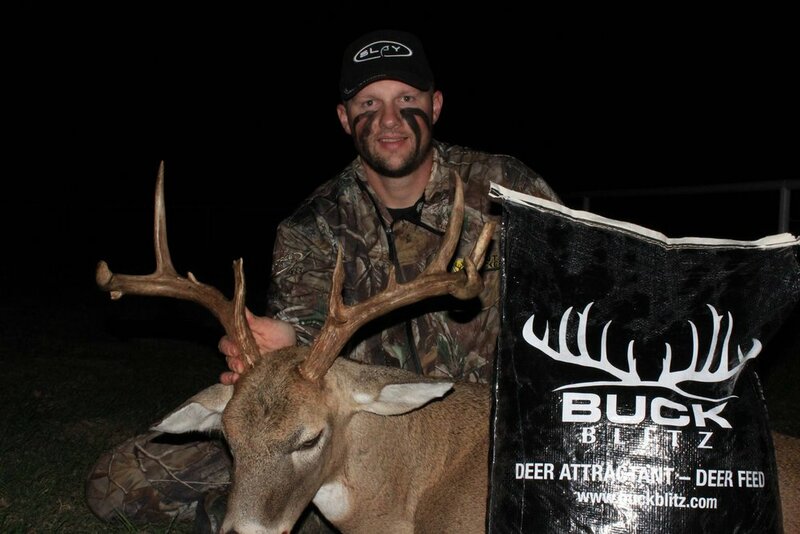 Order your BUCK BLITZ ATTRACTANT today or look for it in local hunting and outdoor stores near you.